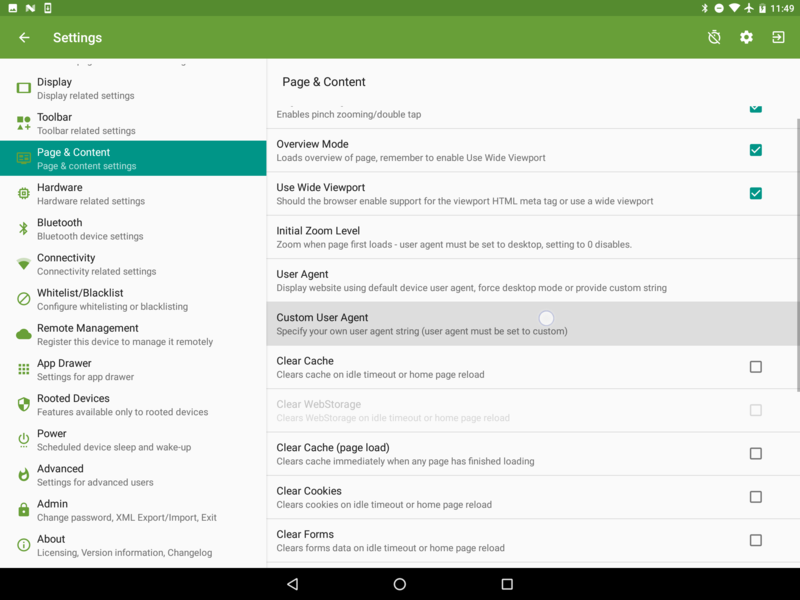 The User Agent string identifies the types of devices requesting online content. The server that the request is sent to will then determine the type of content to display, the layout, identify any re-directions for that device type, as well as use the information for analysing web-traffic. By default, the WebView on which Kiosk Browser is based provides the user agent string, which is determined by various device properties. You can set the User Agent to desktop which will force the page to load in desktop mode. 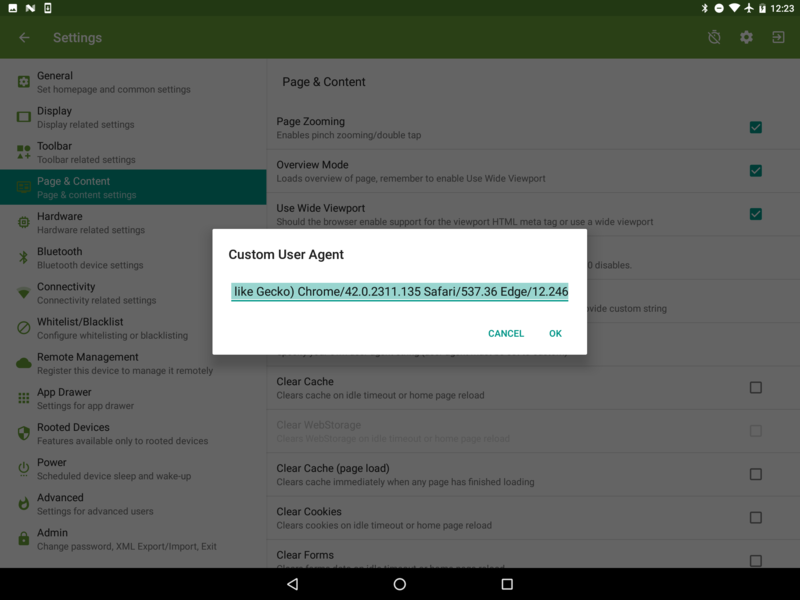 To set a Custom User Agent, firstly you would need to select the option for this under Settings > Page & Content > User Agent. 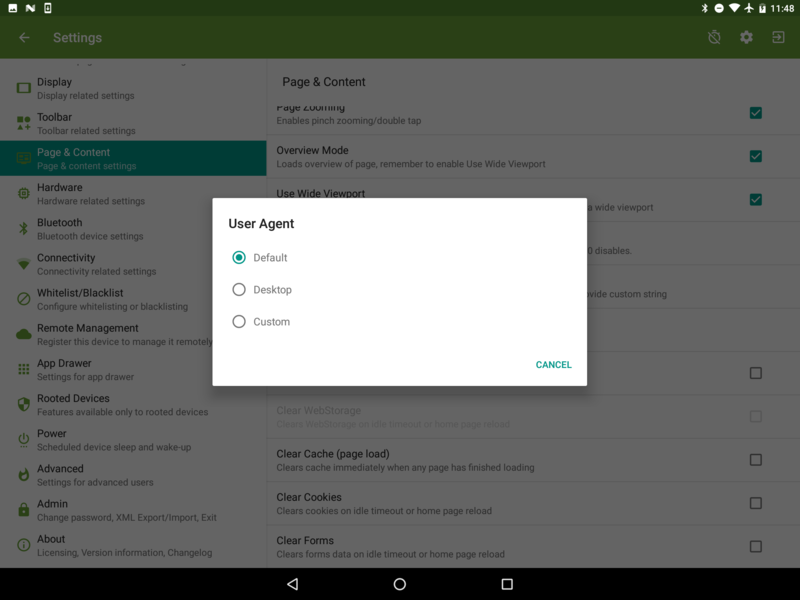 Once you have enabled the Custom User Agent, you will need to enter the string for the User Agent that you wish to use, under Settings > Page & Content > Custom User Agent. Some example User Agent strings can be found here. This list is external and is by no means exhaustive, as there are millions of possible User Agents. As with other Kiosk Browser settings, the User Agent can also be defined under Profiles > Settings > Page & Content > User Agent / Custom User Agent, for Kiosk Browser Remote Management subscribers. There is some further external material regarding User Agents available to read here.